Good, Neutral, Evil Doctors ranks. . HD Wallpaper and background images in the doctor who club tagged: doctor who william hartnell patrick troughton jon pertwee tom baker peter davison colin baker sylvester mccoy christopher eccleston david tennant. 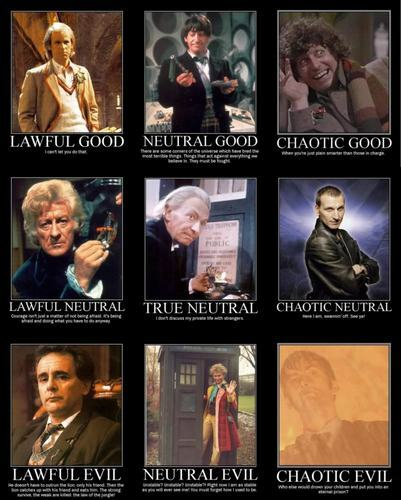 This doctor who photo might contain vitral.